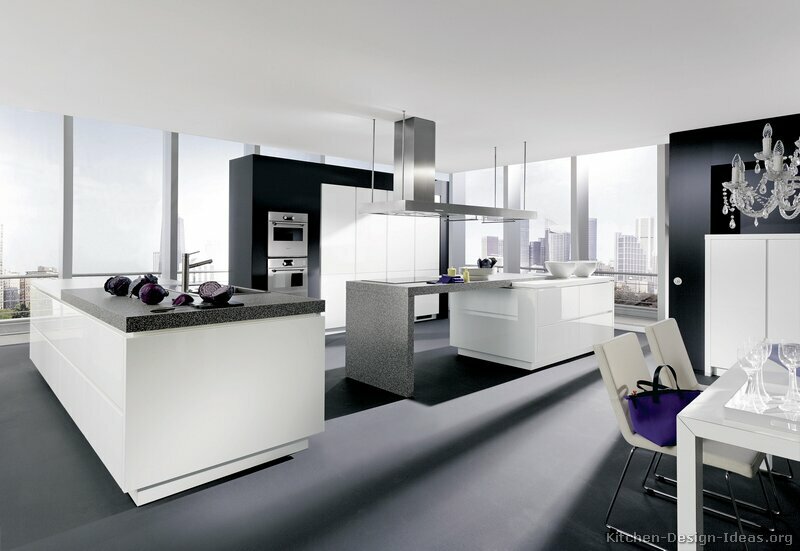 Modern White: A spectacular concept kitchen by ALNO, featuring all-white contemporary cabinets, charcoal-gray countertops and floors, black accent walls, and a sweeping view of the city skyline. More Pictures: Click here for more pictures of this luxury modern kitchen. Find similar photos in the Modern White Kitchens gallery. Updates: To get Kitchen of the Day updates, visit us on Facebook and click "Like" to connect with us. You should also follow us on Twitter.